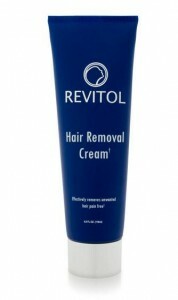 There are many products out in the market that claim to remove hair effectively. Sometimes customers get confused by their promotions because they all promise good and aesthetic results. They don’t know what to buy. We are going to talk about one of the talk of the town facial hair removal products. It is called Epicare. This product has taken it cue from the ancient technique of threading hair. But is this better than the other method? How does it differ from the rest? Well, let’s try to look at the pros and cons of using Epicare. 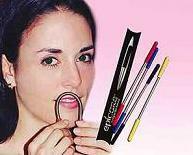 This device has been created in response to the frustrations of women over unwanted facial hair. Basically it works under the principle of threading. The threading technique uses a thin cotton thread. This thread is twisted and looped around a hand while the ends of the thread are held with the other hand. Then the thread is manipulated in cutting motion to pull out the hair. Now Epicare comes with a metal spring that can be bent to remove the hair. Based on the Epicare website, the spring is composed of a hypoallergenic and coated alloy with plastic handles which is safe for customers to use. The question now is, “Does Epicare really work?” Why don’t you try it yourself ? Keep reading. Hold the device and bend the spring to form a horseshoe shape. Place it on the area to be treated and roll the spring in an inward and outward motion. This motion will remove the unwanted fine hair on the jaws, cheeks, chin, upper lip, and neck. It’s not recommended on bikini lines, underarms, chest, and legs. You can purchase it online. Visit their website or try amazon. Check your local store if they have it. This is all about Epicare. There are other facial hair removal products out there like Hair Off Facial Buffer, Bellabe, and Vaniqa. Try to compare their prices and read some reviews before trying any of these. Once you find the best product for you, stick to it and enjoy hairless beauty. If you consider laser removal, seek the advice of a professional first.